The Group has been actively engaged in civil engineering operations for more than 50 years. RTi boasts a success record of 35 years in the inspection and trenchless rehabilitation of all types of piping systems, including wastewater, drinking water, gas and oil pipes. 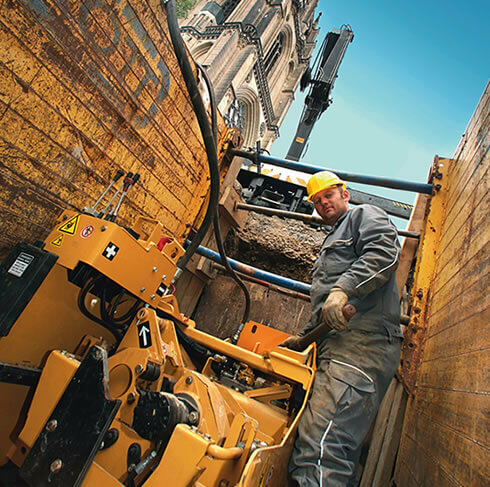 The service portfolio of RTi Rohrtechnik Group comprises all standard technologies used for trenchless inspection, cleaning, repair and rehabilitation of all types of pipes as well as new pipe installations, container/tank rehabilitation, sanitary engineering and landfill construction services. This allows us to provide the perfect solution to any problem related to defective gravity and pressure conduits ranging from DN 80 to 5500 mm in size. Our many years of experience, our well-trained and highly motivated employees as well as our innovative and proven technologies enable us to deliver reliable products and services in first-class quality. Product innovation, hard-working employees and increased visibility in the global marketplace have been our core themes in recent decades. RTi seeks to create value not only by offering high-quality products and services, but also by protecting the environment and ensuring human safety. With the seven construction companies and the global production and trading company RTi Group boasts more than 330 employees.